If you think you are ready to start investing, it can seem daunting knowing where to begin. 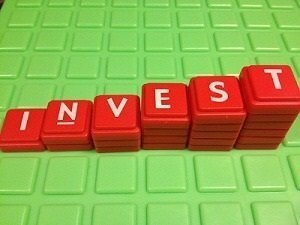 The following article gives you a step-by step information to help walk you through the process of getting started with investing your money. Most financial experts will recommend that before you start investing you have a safety net in place for emergencies. Generally it is good to have enough money saved that you can securely live for 6 months and be covered in case you lose your job or have unexpected medical bills you need to pay. Instead of putting all of your money in a regular savings account, you can also think about opening a money market account or CD (certificate of deposit). It is recommended, however, that you learn about any restrictions on your account in case you need to withdraw your money early. If you want to place your trades online, you won’t be able to use your checking account so you may want to think about opening a brokerage account. A question you should be ready to answer is what type of account you will want to open. For example do you want to invest your money in a tax-deferred account like a 401(k) or an IRA account? In addition you should have an idea of the type of asset class you would like to invest in such as bonds, stocks, etc. When you open a brokerage account you choose what type of trades you want to place and your broker performs the trade. If you expect that you will want to receive assistance with your trades, consider choosing a brokerage firm that has 24/7 support or a physical location you can visit. Research reports may also be helpful, though if you think that you won’t want to do your own research, you can also try choosing a full service broker that’s closer to a financial planner. A financial planner will provide investment advice and can offer portfolio management services. Rather than charging a commission fee on individual trades like your regular broker, financial planners charge a management fee. Aside from commission fees, brokerage firms typically also charge a fixed cost per trade. Some have additional charges based on the number of shares you trade. In addition, when you open an account you may be required to pay a minimum deposit. It is possible for the minimum deposit to be $10,000 but you can find an account with a $0 deposit. To compare brokers and screen them based on your needs, try using NerdWallet’s brokerage account comparison tool. Is trade execution speed important to you? There are some traders that will value speed in trade execution because they are more concerned with missing a trade than the price of the execution. Most regular investors however aren’t place highly volatile trades that demand urgency. In that case, it might be better to choose a discount trader like Interactive Brokers that offers execution at the speed of .90 seconds for the price of $1 per trade, versus a brand-name firm like E-Trade which charges $9.99 for a .22 second execution speed. There are many myths that brand-name brokers provide better trade execution quality than discount brokers. This is not true — a NerdWallet study uncovered that only 12% of commission fees paid to brand name brokers actually go towards paying for trade execution. The rest of the money is spent on the firm’s overhead expenses including advertising. Be sure to do some research before choosing a broker and don’t be afraid to choose a discount brokerage firm if it satisfies your needs the same as a brand-name broker. Why do you need to have an emergency fund in place before you invest in stocks? If your expenses are low and you don’t need the money, there isn’t any real reason why you should have an emergency fund. Plus, cash is yielding less than 1%, whereas the three year annualized return on the S&P is something like 25%. You’d be silly not have your money in the market at this point. @James – I invested through at least 3 major crashes and a handful of minor ones. Not having an emergency fund works well until you experience a crash and lose your job at the same time (likely scenario given what just happened not long ago).